In this post I’m going to give you an introduction to autoresponders, and explain why you should be using them. And we’ll finish off with top tips on how to make the most of automated email marketing. Right, let’s start off with the key question: what is an autoresponder? Autoresponders are e-newsletters that are sent automatically to your mailing list subscribers based on rules and intervals that you define. For example, you could design a programme of autoresponders so that 5 minutes after somebody signs up to your mailing list, they receive a welcome message from your business; exactly one week later they receive discount codes for some of your products; three weeks later they receive an invitation to follow you on social media – and so on. When you use autoresponders, a lot of your email marketing gets automated – if you set things up correctly, subscribers receive certain key messages from your business without you having to worry about manually sending these messages out. So the main benefit of autoresponders is clear: they save you time – a lot of it. Not only that however, autoresponder emails can generate a lot of income for your business — if you’re clever in how you use them. move a subscriber from one cycle of communications to another after they buy a product (i.e., move them from a ‘prospect’ style series of emails to an ‘upsell’ cycle of communications). automatically send people emails about individual products based on the page of your website that they signed up to your list from. Using autoresponders in these ways can generate significant income and maximise the value of your mailing list. How do I send autoresponders? To send out autoresponders, you need to use an email marketing app. Well-known ones include Getresponse, Mailchimp, Mad Mimi or Campaign Monitor – these are all dedicated tools for hosting mailing lists and sending autoresponders to them. Of the apps we’ve tested we’d probably suggest trying out Getresponse if you need advanced autoresponder functionality. As the screenshot above hints at, it arguably offers the most comprehensive range of options when it comes to sending them, and the most advanced marketing automation. If you are on an extremely low budget, Mad Mimi is worth a look. It’s worth noting however, that its autoresponder or ‘drip’ functionality is extremely basic by comparison to its competitors — you get what you pay for basically! If you are using certain pieces of software or web apps that you need to integrate with a mailing list, you might find that Mailchimp is an attractive option – whilst it’s not the cheapest autoresponder tool out there, a lot of well-known services provide an ‘out of the box’ integration with it (Squarespace and Shopify, for example, use Mailchimp as their preferred tool for integrating a mailing list with your website / store). Does using autoresponders mean that I should stop ‘manually’ sending out e-newsletters? 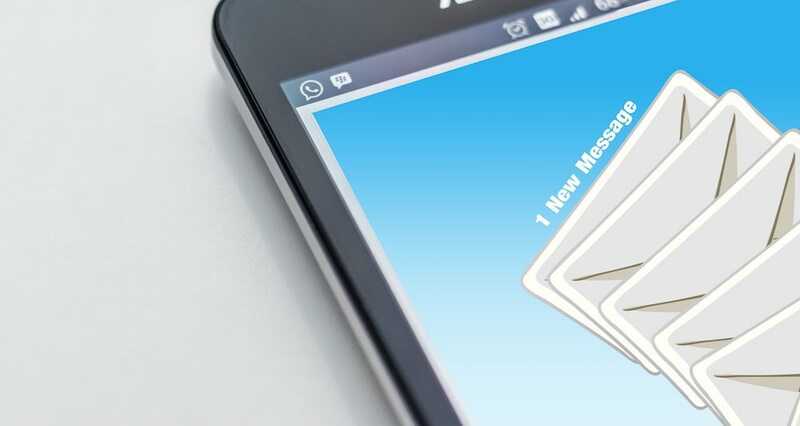 No – there will still be many occasions when it makes absolute sense to send out an e-newsletter manually: messages marking festive occasions, seasonal promotions, sale announcements and general news updates will often need to be covered off by sending out a ‘normal’ e-newsletter. But used well, autoresponders will allow you to automate a lot of ‘nuts and bolts’ marketing activity, and tailor your messages to suit particular segments of your mailing list…all while you’re in bed, or doing something more interesting, or both. Don’t overdo it: keep the intervals between your email autoresponders reasonably long, unless there is a very good business reason to bombard your subscribers with emails. Keep things relevant: use data supplied by your subscriber when they signed up to send content which they are most likely to be interested in. For example, if they expressed interest in Product X, don’t add them to a cycle about Product Y.
Don’t just ‘drip’ - use marketing automation features: autoresponders have come a long way since the days of basic 'drip’ campaigns triggered by time intervals. You can now use a whole host of triggers such as opens, clicks, web page visits and purchases to create really sophisticated user journeys that maximise profit. Be mindful of data protection rules - in the era of GDPR, it’s more important than ever to stay on the right side of data protection laws. Ensure you always have explicit consent before sending any autoresponders, and allow users to unsubscribe easily from your cycles. If you’ve got any thoughts on or queries about autoresponders, please do share them in the comments section below. Note that if you’re reading this on a mobile device, you may need to read the standard version in order to post a comment. Check out our email marketing reviews section contains a lot of useful, in-depth reviews and comparisons of the leading email marketing apps, including Aweber, Campaign Monitor, Getresponse, Mad Mimi and Mailchimp.